“Western Lands, Western Voices,” a three- day interdisciplinary symposium exploring the past, present, and future of public engagement in the Humanities and Social Sciences will be held in Salt Lake City, September 19-21, 2014. 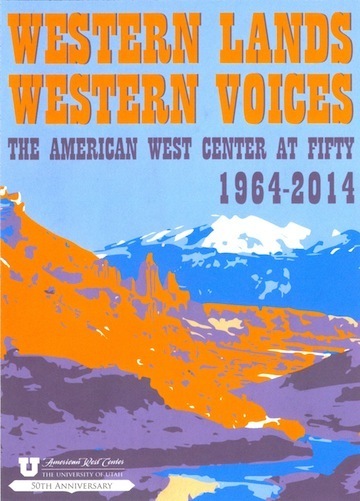 The symposium marks the fiftieth anniversary of the University of Utah’s American West Center, the oldest regional studies center of its kind in the West. Our goal is to bring together college/university and community based practitioners for a lively discussion of the place and power of publicly engaged/applied scholarship in the American West. Subjects: We seek submissions from college and university based scholars, community based organizations and institutions, state and local historical and cultural entities, and indigenous Nations. The symposium will engage diverse fields including history, anthropology, political science, ethnic studies, literature, cultural studies, and the arts. We strongly encourage participants and projects that span disciplinary divides. Submissions from graduate students, early career scholars, and community based scholars are particularly encouraged, as are those that address innovative ways of reaching public audiences. Session Formats: We are seeking submissions for sessions and presentations in a range of formats. Traditional research presentations are welcome, but we encourage collaborative formats such as roundtables and the NCPH’s “working group” format. Working Groups connect individuals working on similar projects or problems through the discussion of pre-circulated scholarship. 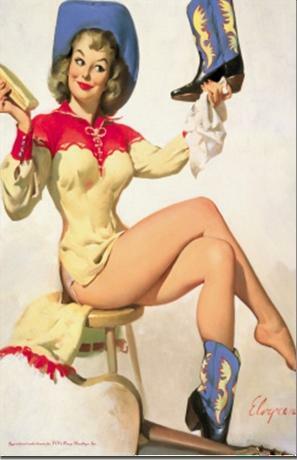 Get booted and ready to ride! In his email, Smoak further explained that “this is intended to be as forward looking as it is a celebration of the past. We want a lot of graduate student and early career scholar participation. And while the focus is the West, we are not complete sticklers. What holds it all together is the power and promise of public engagement.” The deadline is March 1, 2014, and proposals should be sent in PDF format to AmericanWestCenter50 AT gmail DOT com. More information is available here, or contact the AWC by email if you have more specific questions. So, friends: get creative, and get your proposals in. You never know who you might meet or the connections you could make. Besides, there are worse places to be than sunny Salt Lake on a warm, early autumn weekend. ← What I saw at the AHA 2014: Who are the ladies? I have nothing but great memories of my one and only trip to Salt Lake, a few years back, although I doubt whether I’ll make this one. If you have time, the zoo is worth a trip; and there’s a *spectacular* atrium exhibit and/or reception/event space in the front of the Public Library downtown that should not be missed. Also a lot of good and unassuming small restaurants as I recall.